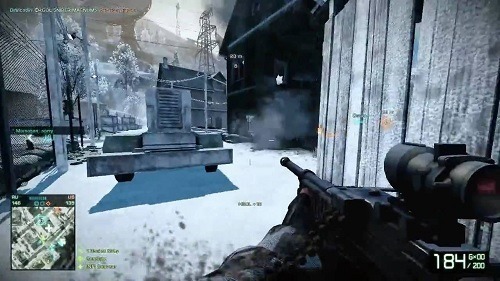 Battlefield: Bad Company 2 is the 2010 game release in the Battlefield series. The game continues on the success laid out by the previous games in the series which its focus on a squad based experience. One of the most innovative additions to the game is the use of destructible environments which are found in both the single player and multiplayer modes. 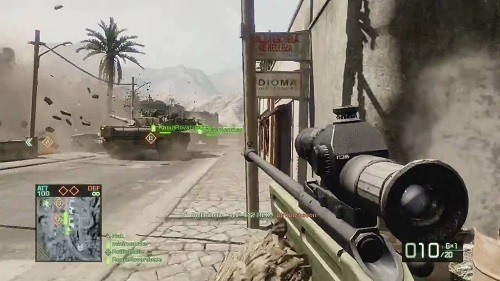 The game is generally considered to be one of the better multiplayer first person shooters of the day. In the single player story you will play as Preston Marlowe as you join his team of soldiers in the Bad Company battalion once again. This campaign mode in Bad Company 2 plays out like similar games with the players chasing a series of objectives in different settings with a mixture of cut scenes to fill in the story blanks. For nearly all the missions players will be joined by their team but the responsibility definitely falls on the player as your team is less than helpful in most situations. Bad Company 2 also jumped onto the regenerating health system that many other games of the time introduced. The campaign does use a few interesting mechanics such as weapon unlocking with most weapons requiring to be found in the campaign before becoming accessible at supply points. These supply points are dropped onto the player at certain game points where you can swap out your weapon options and fill up on ammunition. Multiplayer is your standard class based affair with players able to pick from one of four classes that carry their own weapons and equipment. These classes gain experience and levels separately which allows you to enhance your gear further. Vehicles are also an important game component just like the previous Battlefield games. Bad Company 2 manages to be a great single player experience but shines in the multiplayer environment just like the others in the franchise. Part of the popular Battlefield series (Bad Company spin-off). Destructible environments add a lot of fun to the game maps. Level up your four classes in multiplayer. Plenty of vehicle options which are the key to victory in multiplayer. Good map variety and game modes.